Washington, D.C. March 4, 1987. 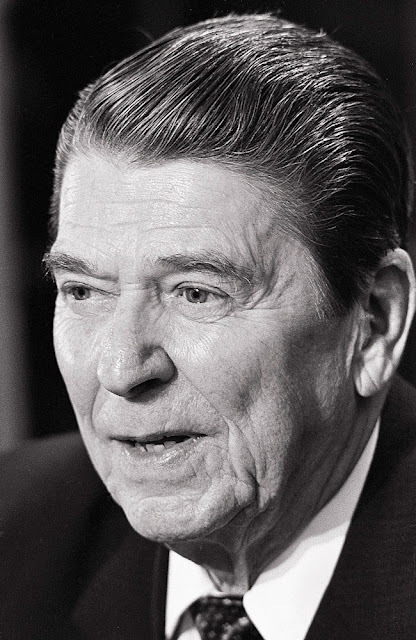 President Ronald Reagan had just addressed the nation regarding his administration's role in the Iran-Contra scandal. Three groups of roughly 15 photographers waited in the hallway outside the Oval Office. My group's turn came. We piled into the room and fanned out around Mr. Reagan's desk. As he murmured something like, I'm sitting here pretending to read my speech so you can take a picture that looks like I am giving my speech, I shot a burst of 7 black and white frames (see above). I then switched to my camera loaded with color film and photographed for the remainder of the 30 second photo opportunity. During the actual speech, Reagan had apologized for misdeeds. "A few months ago, I told the American people I did not trade arms for hostages. My heart and my best intentions still tell me that's true, but the facts and evidence tell me it is not." From 1986 - 1992, JB Pictures secured assignments for me from magazines in the U.S. and abroad. 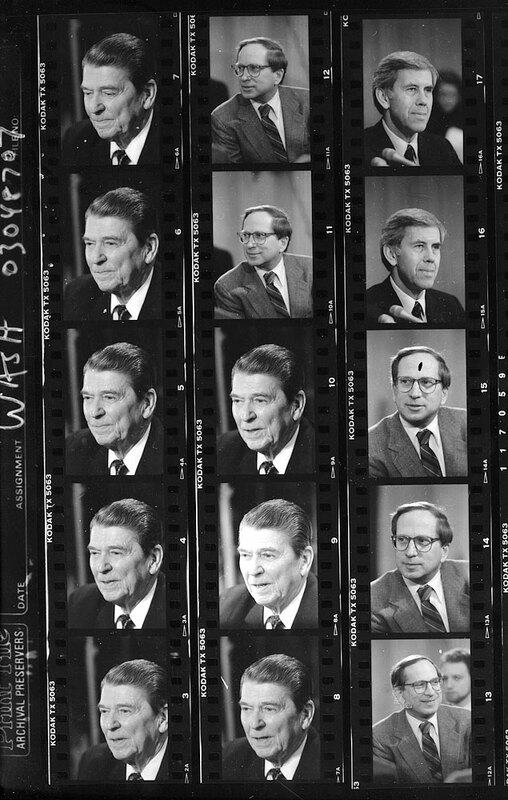 I also produced photo stories on topics ranging from political and economic change in the South Korea to the arts underground and new capitalists in the USSR to pollution in the United States. In the near future I will offer a limited number of specially priced Holiday Boxed Print Sets. Each buyer can choose five images from this website and will then receive five 8 X 10 prints for $97. I will announce the sale first to Create Look Enjoy subscribers. If you have not yet subscribed, I invite you to do so now! Sen. Sam Nunn (D-GA) and Sen. Richard Lugar (R-IN). I'm inclined to #7 of RR, where his eyes look downward, as if deep in thought. Thanks for the flashback. And Nunn is the one with the glasses. Yes, #7 has that thoughtful look. Your senators are correct. I like your style sheet perfect party and state ids.